Not too long ago we announced on our blog that the spectacular breads from Mikael Jonsson’s Michelin-star studded Hedone bread ovens were making their way across London, finding themselves in neighbourhood bakeries like our local Bayley & Sage store in Parsons Green (click here to have a look). 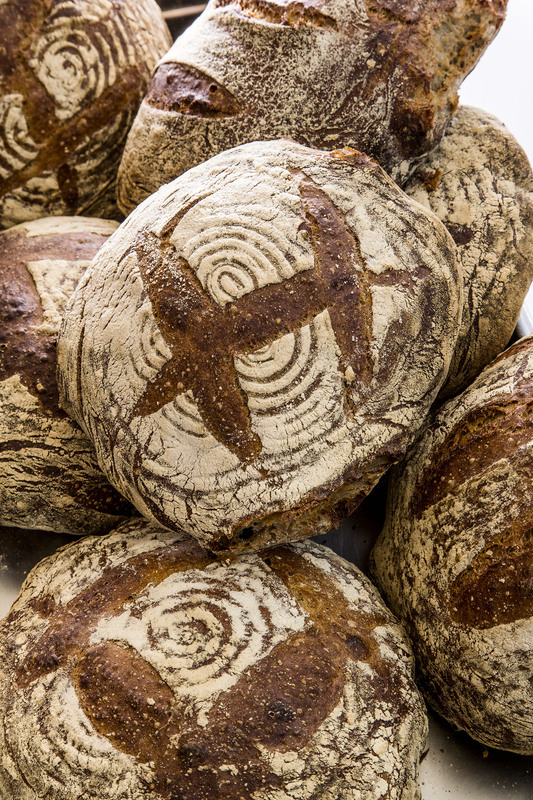 Regular customers and other chefs alike scramble for these fine loaves. With determination and perseverance, a select number of restaurants in London, most with Michelin stars, have persuaded Jonsson to allow them to serve his bread in their restaurants. Meanwhile, Nathan Myhrvold, founder of The Cooking Lab, coauthor of Modernist Cuisine: The Art and Science of Cooking and Modernist Cuisine at Home, and author of The Photography of Modernist Cuisine, will be devoting his forthcoming book to the art and science of bread. This multivolume book will detail bread’s origins and evolution, honouring the work of great bakers who have influenced the diversity of bread around the world and featuring a fascinating range of scientific and historical topics from grain agronomics and fermentation to traditional and modernist recipes. This entry was posted in Hedone, Massimo Bottura, Mikael Jonsson, Modernist Cuisine, nathan myhrvold, Osteria Francescana, Spoon blog 2015 and tagged baking, bread, Hedone, London, london food pr, london restaurant pr, massimo bottura, mikael jonsson, milan, Modernist cuisine, Nathan Myhrvold, Refettorio Ambrosiano, Seattle. Bookmark the permalink. I feel like bread can be taken in so many different directions. And It’s really interesting to see bread described as “gold” because I feel like so many people these days are hopping on the gluten-free train. I wonder what those devoted to bread are going to do about the continuing rise of this trend. Maybe we’ll be seeing more experimentation with different kinds of flour and processing? Apologies for the delay in responding to your comment. It will be very intersting to see how things develop in the world of bread experimentation. I will be concentrating my research for Modernist Bread next week!